Felix earned his BSc in Psychology and MSc in Cognitive Neuroscience at the Radboud University in Nijmegen. For his Master research, he joined the Donders Institute’s Predictive Brain lab headed by Prof. Floris de Lange, where he investigated the interaction between bottom-up attention and expectation. 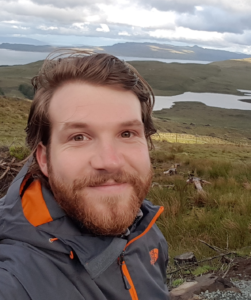 After completing his Master’s, Felix joined Prof. Alan Sanfey’s Decision Neuroscience lab as a Research Assistant (RA) and Lab Manager (also at the Donders). Here, he developed an interest in decision-making and became familiar with incorporating a variety of research methods, such as threat of shock and psychophysiological measurements. To follow-up on these developed skills and interests, he then joined the EPAN lab as a Research Assistant to set up the new Dare2Approach ERC-CoG project. Since 2019 he continues to work on this project as a PhD student. During his PhD, he aims to develop a novel neurocognitive model that better explains approach-avoidance decisions under threat, by incorporating psychophysiological defensive bodily states such as the freezing response. Currently, he is running his first experiment in which he investigates the interaction between freezing and subjective value computations and passive/active avoidance tendencies.